If you are reading this, brace yourself, a FREE LOTTERY IS HERE! Do you find yourself kicking chaos druids for cash? Looting every item you find just to get by, week to week? Or simply looking for some extra spending cash? Well here is your chance to get ahead! After having it suggested to me by a few others, I decided we'd try this out! Long story short, each MONTH, you will be able to ROLL FOUR TIMES in this thread. There are 225 potential outcomes to the roll and MANY of the outcomes will win. Please do read the following rules so you do not get disqualified! Entrants may only roll FOUR TIMES per MONTH. Multiple winners will NO-LONGER result in a split pot between each winner. The lottery will begin after the thread is posted and end a MONTH afterwards, at 11:59:59 p.m. Eastern USA. The Prize will double each month but NO LONGER max out at a 5M pot. Entrants may be disqualified and/or banned from the lottery if any form of tampering or cheating is detected. To restate, entrants may only roll FOUR TIMES per MONTH. Rules, regulations, and payouts may be added or changed for future lotteries. You must click this button, found above and to the left of here, or at the bottom of the page to be able to activate the dice roll! After clicking that button, type your lucky message! Before you hit submit, look a bit below and to the left, to find this. From the drop down menu, select the lottery roll! Make sure you have only '4' rolls, otherwise you will be disqualified! Good luck, you're all set! Click submit and you will have a dice roll! If you win, a giant image will be included, stating you are a winner. Out of all of the 'faces,' one will randomly contain this lucky image. 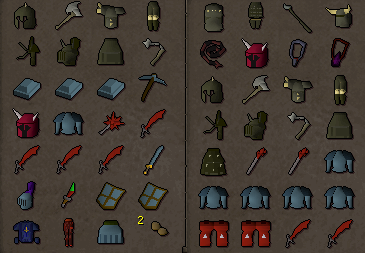 Should you win, please PM OSRS Advice / Greybird to claim your prize! Additionally, there are a few GOODYBAG prizes added to the mix! 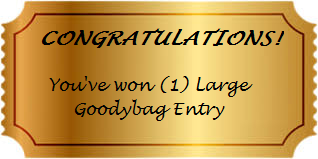 If you are lucky enough to roll and receive a golden ticket, you are GUARANTEED A PRIZE. Prizes will range from junk to great items, depending on the size of the goodybag you roll. If you get a ticket, please PM me in game! Good luck rolling! May RNG be in your favor!